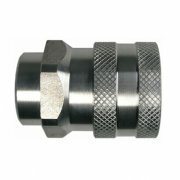 Stainless steel coupler 3/8" BSP female, 12mm bore. 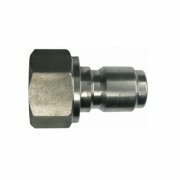 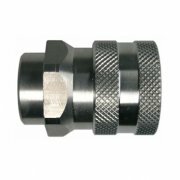 Stainless steel coupler 1/2" BSP male, 12mm bore. 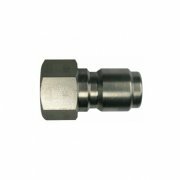 Stainless steel coupler 1/4" BSP female, 12mm bore. 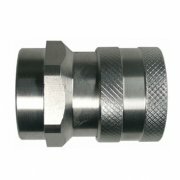 Stainless steel coupler 1/2" BSP female, 12mm bore. 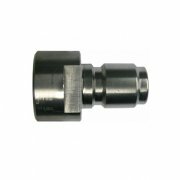 Stainless steel coupler 3/4" BSP female, 12mm bore. 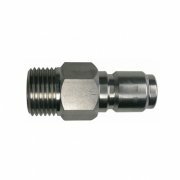 Stainless steel adapter 3/8" BSP male. 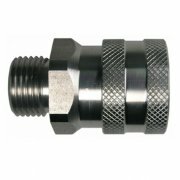 Stainless steel adapter 1/2" BSP male. 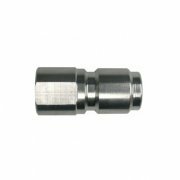 Stainless steel adapter 1/4" BSP male. 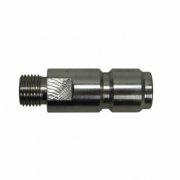 Stainless steel 1/4" BSP female. 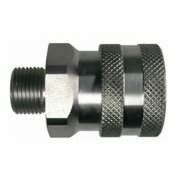 Stainless steel adapter 1/2" BSP female. 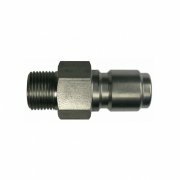 Stainless steel adapter 3/8" BSP female. 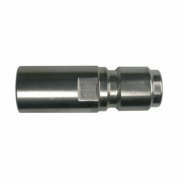 Stainless steel adapter 1/4" BSP female (long version). 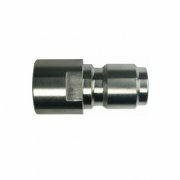 Stainless steel adapter 1/4" BSP female (short version).